This year nine members of the Brussels group were in Haworth for the annual ‘AGM weekend’ or ‘Brontë Festival’. The weather was a little changeable and the atmosphere at the AGM slightly unsettled, with the need to fill a couple of key posts on the Brontë Society Council and at the Museum. But we had plenty of sunny spells for walking on the moors and chatting on Main Street café terraces, and meeting up with friends in Haworth was, as always, a joy. The first event, on Friday 13 June, was a talk by novelist Stevie Davies, author of Emily Brontë: Heretic. She was speaking about her new novel Awakenings, set in 1860 against the background of charismatic religious movements and the publication of Darwin’s Origin of the Species. Stevie came to Brussels in 2009 to talk about Emily Brontë and the Mother World. I recommend her novel Four Dreamers and Emily about a Brontë conference in Haworth. Although a fantasy featuring imaginary characters, it will strike a few chords for anyone who has been in Haworth during the Brontë weekend! Air on Brontë Moor on Friday evening brought together music, images and poems inspired by on the moors around Haworth, with music provided by David Wilson, filmed images by Simon Warner and readings of poetry (his own and that of Emily Brontë, Sylvia Plath, Ted Hughes and others) by Adam Strickson. Although it was jinxed by technical problems, with some images failing to materialise on the screen, it was an enjoyable mix. Earlier in the evening entertainment was provided by Pennine Harps, a quartet of four female harpists. On Saturday, events were packed back to back as always. A talk on the Wesleyan Methodist circles in Cornwall in which the Brontës’ mother, Maria Branwell, and her sister, who looked after them after her death, grew up, was followed by the AGM. Bonnie Greer, the Society’s President, was in the chair. The Brontë Society Council has a busy few months ahead. ´The Museum director, Ann Sumner, is moving to a new post and the term of office of the Chairman, Sally Macdonald, is coming to an end so these two posts must be filled soon. The lecture was given by Lucasta Miller, author of The Brontë Myth, always a speaker worth hearing. Her subject was Jane Eyre, Charlotte Brontë’s Naughty Book. She considered it in conjunction with the work of another female writer of ‘naughty’ novels, Letitia Landon, who is the subject of her next book. After the prize-giving for the Society’s Creative Competition for best short story, poem and illustration (judges: novelist Margaret Drabble, poet Simon Armitage and artist Victoria Brookland), Lucasta Miller returned for the evening’s panel discussion on fictional biographies and spin-offs of well-loved classic novels. How far are they justified, what can they provide? Ably chaired by Patsy Stoneman, who has twice given excellent talks to our group, the panel also included novelists Tiffany Murray and Catherine Rayner. Sunday was a more restful day, with some relaxed indoor events alternating with the traditional tramp over the moors. Unfortunately, sunny spells were less in evidence today! As always, the Brontë Parsonage Museum was opened for a private visit by Society members. Some then proceeded to the library for a viewing of ‘hidden gems’ of the Museum collection, presented by Collections Manager Ann Dinsdale, followed by refreshments from the famous Betty’s Tearoom in Ilkley. Those not walking attended a screening of pictures from the scrapbook of Ellen Nussey, best friend and chief correspondent of Charlotte Brontë. Charlotte’s letters to this friend form the bulk of her voluminous correspondence and the source of much of what we know about her. Audrey Hall, who inherited the scrapbook and has researched its contents, gave this presentation and then formally handed the scrapbook over to the Parsonage Museum. The weekend was rounded off by the now traditional dinner and entertainment at the Old White Lion. This year members were not asked to write Brontë-themed limericks, which had us scratching our heads and biting our pens last June. Instead we brainstormed ideas for events for future AGM weekends and to celebrate the bicentenary years coming up, starting with Charlotte Brontë’s in 2016. After the meal we sat back and enjoyed costume-maker and historian Gillian Taylor’s talk on a replica of Charlotte Brontë’s wedding dress, based on descriptions of it and Gillian’s knowledge of the period. Charlotte was married to Arthur Bell Nicholls on 29 June 1854 and died nine months later. This year’s Monday excursion was to Liverpool, in whose streets, it will be remembered, Heathcliff was found as a child. There were opportunities to visit the International Slavery Museum, Albert Dock and Tate Liverpool, the Liverpool Maritime Museum and the Beatles Museum. 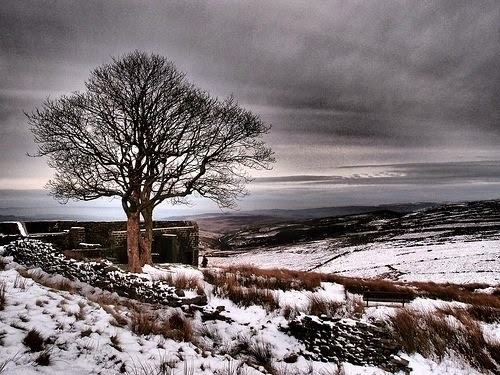 The 2015 Brontë Society AGM weekend will be held on 6-7 June. The World Cup 2014 is fast approaching, as every soccer fan knows. Perhaps now is a good time to trace some football links in the Brussels Brontë story. There are some interesting connections which merit highlighting - however unlikely the idea might seem at first glance! The Jenkins family's role in the beginnings of the Brussels, and indeed Belgian, football story is a theme still to be fully researched, yet its close involvement is widely acknowledged by Belgian football historians. This involvement should come as no surprise. Rev. Charles Edward (1826-73) and Rev. John Card (1834-94), the sons of Rev. Evan Jenkins (1794-1849), were both keen sportsmen. According to Monica Kendall, John won trophies for rowing, still in the family's possession, while studying at Cambridge in the 1850s. The brothers founded the Brussels Cricket Club, the first of its kind in Belgium, in the early 1860s, and both were fine amateur cricket players. Most of the early members of the Brussels Cricket Club were pupils from the brothers’ school, known from around 1870 as St Bernard's and the largest British boys boarding school in the city. Indication that these young cricket players might have been playing football too, as early as 1865, is found in L'Indépendance belge ( 31 May 1865): "Les membres du Cricket-Club, fils d'Albion habitant Bruxelles, viennent de reprendre leur jeu favori dans les plaines de Cureghem, entre le Nieuw-Molen et l'Ecole vétérinaire. Demain, ils donneront une fête comportant des jeux divers, qu'ils appellent athletic sports". Football at the time was foremost among the activities described as "athletic sports"; it would surely have featured at this sporting fête. If the Jenkinses counted among the very earliest pioneers of football in Brussels, some sources hold that the first man to introduce football to Belgium was an Irish student from Killarney, Bernard Murrogh, who brought the game to his college at Melle, near Ghent in 1863. 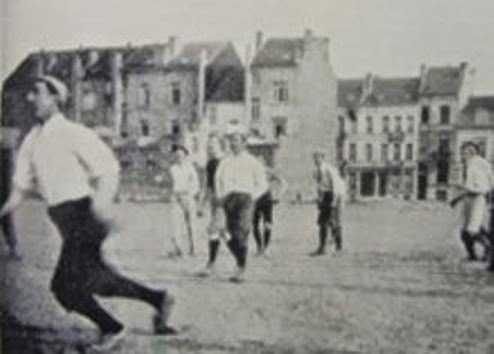 The sport was soon being played in other cities across Flanders; the first official football club in Belgium was Antwerp FC, formed in 1880.
ground of Tenbosch. [See photo of a match here from the epoch]. Now built-up, this open ground was located between the present day Avenue Louise, Rue Tenbosch and Rue Defacqz in the Ixelles commune. It was very much Jenkins family territory. In the latter 19th century, the family lived at several different addresses on the Rue des Champs Elysées in Ixelles and the Rue St. Bernard in St. Gilles, both of which were a stone's throw away from the football grounds. In 1874, the Church of the Resurrection, built largely through the efforts of Charles Edward Jenkins (Senior), was inaugurated on the Rue de Stassart, which was also close by. Given the connections the Jenkinses had with this part of the city, it is no coincidence that Tenbosch became an early home to Belgian football.